Below are links to data about weather, climate and global warming for anyone wanting to plot or analyse the data themselves. They includes sources of land and sea surface temperature data and satellite (troposphere) data. There are also links to reports on the El Nino Southern Oscillation (ENSO) around the equator, the Pacific Decadal Oscillation (see Oceans and Sea Surface), as well as sea ice pages to see what's happening near the poles. And then there is sea level, and CO2 data. Sometimes those CO2 links work, and sometimes they don't. I've plotted some of the data and try to keep the charts up to date. You can view or download a number of charts from here. RealClimate.org lists more data sources. Nick Stokes at Moyhu does a lot of data analysis. This is a collection of papers about climate science. It includes some, though not all, of the seminal papers that mark important milestones in either the science or the public's understanding of the science, including some early papers. And in case you think that the public only learnt about greenhouse gases recently, I've started to put together a collection of old newspaper articles on the blog. These show that as long ago as 1884 at least, even people who lived in rural South Australia knew about greenhouse gases (those who read the paper, anyway). Kiehl, J. T. and Trenberth, K. E., 1997: Earth's Annual Global Mean Energy Budget. Bull. Amer. Meteor. Soc., 78, 197-208. Remarques générales sur les températures du globe terrestre et des espaces planétaires by Jean Baptiste Joseph Fourier 1824 - translated by Ebeneser Burgess. First newspaper mention of 'global warming' and 'climate changes' - 1957 ? Skeptical Science - Chaos theory and global warming: can climate be predicted? This is a collection of papers, blog articles and science discussions about specific topics in climate science. I put it together to list some of the papers I looked at when writing the article about albedo, then added some about solar (in the light of various people suggesting the sun will become less active in the near term.) I'll add to it over time. If you want a topic or favourite paper listed here, send me an email. There are some scientists who think that the sun is heading for a solar minimum. These are some relevant recent papers, articles and scientific discussions on the subject and what it might mean at the regional and global level, and in the context of greenhouse warming. Notice that some of these papers are very recent (2015), with thanks to TB for some of the references. Mike Lockwood's 2009 paper is an excellent overview of solar science itself as well as how it relates to climate. What will happen during a new Maunder Minimum? Climate dialogue discussion October 2014, with Mike Lockwood (UK), Nicola Scafetta (US), Jan-Erik Solheim (NO), José Vaquero (ES) and Ilya Usoskin (FI). Baur, O., Kuhn, M., Featherstone, W.E., 2009. GRACE-derived ice-mass variations over Greenland by accounting for leakage effects. J. Geophys. Res.114, B06407. http://dx.doi.org/10.1029/2008JB006239. Baur, O., Sneeuw, N., 2011. Assessing Greenland ice mass loss by means of point-mass modeling: a viable methodology. J. Geod.85 (9), 607–615. http://dx.doi.org/10.1007/s00190-011-0463-1. Berthier, E., Scambos, T.A., Shuman, C.A., 2012. Mass loss of Larsen B tributary glaciers (Antarctic Peninsula) unabated since 2002. Geophys. Res. Lett.39 (13), L13501. http://dx.doi.org/10.1029/2012GL051755. Bettadpur, S., the CSR Level-2 Team, 2012. Insights into the Earth system mass variability from CSR-RL05 GRACE gravity fields. Geophys. Res. Abstr.14, 6409. http://www.csr.utexas.edu/grace/RL05_details.html. Bintanja, R., van Oldenborgh, G.J., Drijfhout, S.S., Wouters, B., Katsman, C.A., 2013. 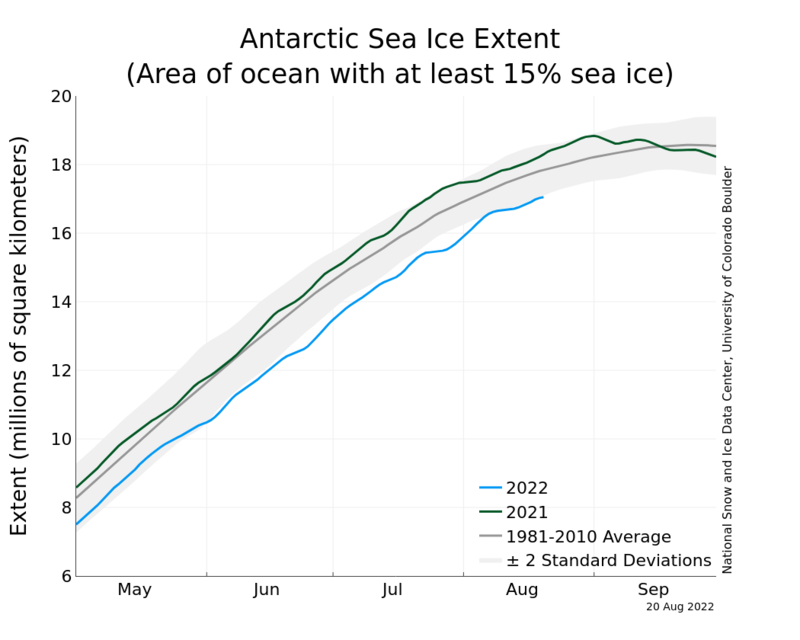 Important role for ocean warming and increased ice-shelf melt in Antarctic sea-ice expansion. Nat. Geosci.6 (5), 376–379. http://dx.doi.org/10.1038/NGEO1767. Boening, C., Lebsock, M., Landerer, F., Stephens, G., 2012. Snowfall-driven mass change on the East Antarctic ice sheet. Geophys. Res. Lett.39, L21501. http://dx.doi.org/10.1029/2012GL053316. Bonin, J., Chambers, D., 2013. Uncertainty estimates of a GRACE inversion modelling technique over Greenland using a simulation. Geophys. J. Int.194 (1), 212–229. http://dx.doi.org/10.1093/gji/ggt091..
Bouman, J., Fuchs, M., Ivins, E., van der Wal, W., Schrama, E., Visser, P., Horwath, M., 2014. Antarctic outlet glacier mass change resolved at basin scale from satel-lite gravity gradiometry. Geophys. Res. Lett.41 (16), 5919–5926. http://dx.doi.org/10.1002/2014GL060637. Bromwich, D.H., Nicolas, J.P., Monaghan, A.J., Lazzara, M.A., Keller, L.M., Weid-ner, G.A., Wilson, A.B., 2013. Central West Antarctica among the most rapidly warming regions on Earth. Nat. Geosci.6, 139–145. http://dx.doi.org/10.1038/ngeo1671. Chen, J.L., Wilson, C.R., Blankenship, D., Tapley, B.D., 2009. Accelerated Antarctic ice loss from satellite gravity measurements. Nat. Geosci.2, 859–862. http://dx.doi.org/10.1038/ngeo694. Chen, J.L., Wilson, C.R., Tapley, B.D., 2006. Satellite gravity measurements confirm accelerated melting of Greenland ice sheet. Science313, 1958–1960. Chen, J.L., Wilson, C.R., Tapley, B.D., Blankenship, D., Young, D., 2008. 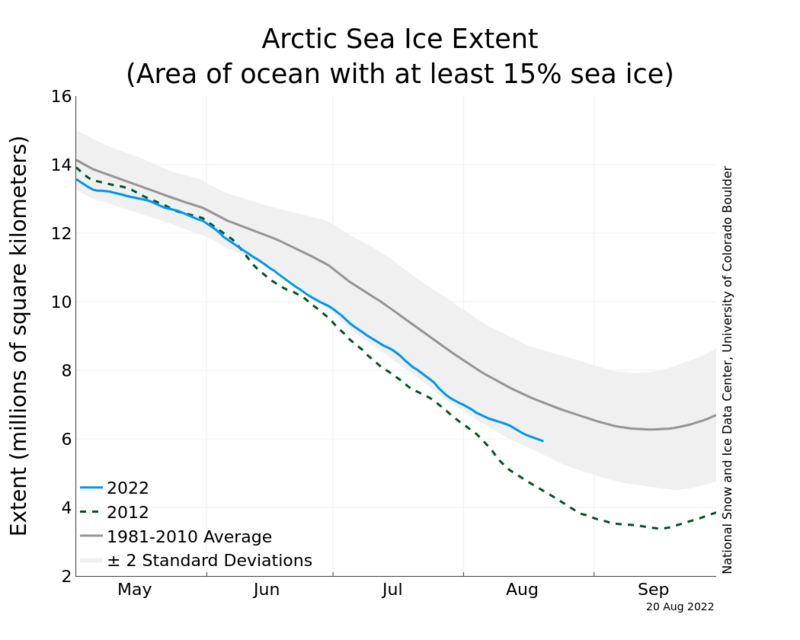 Antarctic re-gional ice loss rates from GRACE. Earth Planet. Sci. Lett.266, 140–148. http://dx.doi.org/10.1016/j.epsl.2007.10.057. Cheng, M., Tapley, B.D., Ries, J.C., 2013. Deceleration in the Earth’s oblateness. J.Geo-phys. Res.118, 740–747. http://dx.doi.org/10.1002/jgrb.50058. Cook, C.P., van de Flierdt, T., Williams, T., Hemming, S.R., Iwai, M., Kobayashi, M., Jimenez-Espejo, F.J., Escutia, C., González, J.J., Khim, B.-K., McKay, R.M., Passchier, S., Bohaty, S.M., Riesselman, C.R., Tauxe, L., Sugisaki, S., Galindo, A.L., Patterson, M.O., Sangiorgi, F., Pierce, E.L., Brinkhuis, H., Expedition 318 Scientists, I, 2013. Dynamic behaviour of the East Antarctic ice sheet during Pliocene warmth. Nat. Geosci.6, 765–769. http://dx.doi.org/10.1038/ngeo1889. Dahle, C., Flechtner, F., Gruber, C., König, D., König, R., Michalak, G., Neumayer, K.-H., 2013. GFZ GRACE Level-2 processing standards document for Level-2 product release 0005. Tech. rep. GeoForschungsZentrum, Potsdam, Germany. Eicker, A., Schall, J., Kusche, J., 2014. Regional gravity modelling from spaceborne data: case studies with GOCE. Geophys. J. Int.196, 1431–1440. http://dx.doi.org/10.1093/gji/ggt485. Han, S.-C., Rowlands, D.D., Luthcke, S.B., Lemoine, F.G., 2008. Localized analysis of satellite tracking data for studying time-variable Earth’s gravity fields. J. Geo-phys. Res.113, B06401. http://dx.doi.org/10.1029/2007JB005218. Hanna, E., Navarro, F.J., Pattyn, F., Domingues, C.M., Fettweis, X., Ivins, E.R., Nicholls, R.J., Ritz, C., Smith, B., Tulaczyk, S., Whitehouse, P.L., Zwally, H.J., 2013. Ice-sheet mass balance and climate change. Nature498 (7452), 51–59. http://dx.doi.org/10.1038/nature12238. Harig, C., Lewis, K.W., Plattner, A., Simons, F.J., in press. A suite of software analyzes data on the sphere. Eos Trans. AGU. Harig, C., Simons, F.J., 2012. Mapping Greenland’s mass loss in space and time. Proc. Natl. Acad. Sci. USA109 (49), 19934–19937. http://dx.doi.org/10.1073/pnas.1206785109. Horwath, M., Legrésy, B., Rémy, F., Blarel, F., Lemoine, J.-M., 2012. Consistent patterns of Antarctic ice sheet interannual variations from ENVISAT radar altimetry and GRACE satellite gravimetry. Geophys. J. Int.189, 863–876. http://dx.doi.org/10.1111/j.1365–246X.2012.05401.x. Ivins, E.R., James, T.S., Wahr, J., Schrama, E.J.O., Landerer, F.W., Simon, K.M., 2013. Antarctic contribution to sea level rise observed by GRACE with im-proved GIA correction. J. Geophys. Res.118, 3126–3141. http://dx.doi.org/10.1002/jgrb.50208. Jacob, T., Wahr, J., Pfeffer, W.T., Swenson, S., 2012. Recent contributions of glaciers and ice caps to sea level rise. Nature482 (7386), 514–518. http://dx.doi.org/10.1038/nature10847. Joughin, I., Smith, B.E., Medley, B., 2014. Marine ice sheet collapse potentially un-der way for the Thwaites Glacier Basin, West Antarctica. Science344 (6185), 735–738. http:/dx.doi.org/10.1126/science.1249055. Joughin, I., Tulaczyk, S., 2002. Positive mass balance of the Ross Ice Streams, West Antarctica. Science295 (5554), 476–480. http://dx.doi.org/10.1126/science.1066875. King, M.A., 2013. Progress in modelling and observing Antarctic glacial iso-static adjustment. Astron. Geophys.54 (4), 4.33–4.38. http://dx.doi.org/10.1093/astrogeo/att122. King, M.A., Bingham, R.J., Moore, P., Whitehouse, P.K., Bentley, M.J., Milne, G.A., 2012. Lower satellite-gravimetry estimates of Antarctic sea-level contribution. Nature, 586–589. http://dx.doi.org/10.1038/nature11621. Kopp, R.E., Simons, F.J., Mitrovica, J.X., Maloof, A.C., Oppenheimer, M., 2013. A probabilistic assessment of sea level variations within the last interglacial stage. Geophys. J. Int.193 (2), 711–716. http://dx.doi.org/10.1093/gji/ggt029. le Meur, E., Huybrechts, P., 1996. A comparison of different ways of dealing with isostasy: examples from modeling the Antarctic ice sheet during the last glacial cycle. Ann. Glaciol.23, 309–317. Lee, H., Shum, C.K., Howat, I.M., Monaghan, A., Ahn, Y., Duan, J., Guo, J.-Y., Kuyo, C., Wang, L., 2012. Continuously accelerating ice loss over Amundsen Sea catch-ment, West Antarctica, revealed by integrating altimetry and GRACE data. Earth Planet. Sci. Lett.321–322, 74–80. http://dx.doi.org/10.1016/j.epsl.2011.12.040. Lenaerts, J.T.M., van den Broeke, M.R., van de Berg, W.J., van Meijgaard, E., Munneke, P.K., 2012. A new, high-resolution surface mass balance map of Antarctica (1979–2010) based on regional atmospheric climate modeling. Geophys. Res. Lett.39, L04501. http://dx.doi.org/10.1029/2011GL050713. Lenaerts, J.T.M., van Meijgaard, E., van den Broeke, M.R., Ligtenberg, S.R.M., Horwath, M., Isaksson, E., 2013. Recent snowfall anomalies in Dronning Maud Land, East Antarctica, in a historical and future climate perspective. Geophys. Res. Lett.40 (11), 2684–2688. http://dx.doi.org/10.1002/grl.50559. Little, C.M., Oppenheimer, M., Urban, N.M., 2013a. Upper bounds on twenty-first-century Antarctic ice loss assessed using a probabilistic framework. Nat. Climate Change3, 654–659. http://dx.doi.org/10.1038/nclimate1845. Little, C.M., Urban, N.M., Oppenheimer, M., 2013b. Probabilistic framework for as-sessing the ice sheet contribution to sea level change. Proc. Natl. Acad. Sci. USA110 (9), 1–6. http://dx.doi.org/10.1073/pnas.1214457110. Longuevergne, L., Scanlon, B.R., Wilson, C.R., 2010. GRACE hydrological estimates for small basins: evaluating processing approaches on the High Plains Aquifer, USA. Water Resour. Res.46 (11), W11517. http://dx.doi.org/10.1029/2009WR008564. Luthcke, S.B., Rowlands, D.D., Lemoine, F.G., Klosko, S.M., Chinn, D., McCarthy, J.J., 2006. Monthly spherical harmonic gravity field solutions determined from GRACE inter-satellite range-rate data alone. Geophys. Res. Lett.33 (2), L02402. http://dx.doi.org/10.1029/2005GL024846. Luthcke, S.B., Sabaka, T.J., Loomis, B.D., Arendt, A.A., McCarthy, J.J., Camp, J., 2013. Antarctica, Greenland and Gulf of Alaska land-ice evolution from an iterated GRACE global mascon solution. J. Glaciol.59 (216), 613–631. http://dx.doi.org/10.3189/2013JoG12J147. Mitrovica, J.X., Gomez, N., Morrow, E., Hay, C., Latychev, K., Tamisiea, M.E., 2011. On the robustness of predictions of sea level fingerprints. Geophys. J. Int.187 (2), 729–742. http://dx.doi.org/10.1111/j.1365-246X.2011.05090.x. Oppenheimer, M., 1998. Global warming and the stability of the West Antarctic Ice Sheet. Nature393 (6683), 325–332. http://dx.doi.org/10.1038/30661. Overpeck, J.T., Otto-Bliesner, B.L., Miller, G.H., Muhs, D.R., Alley, R.B., Kiehl, J.T., 2006. Paleoclimatic evidence for future ice-sheet instability and rapid sea-level rise. Science311 (5768), 1747–1750. http://dx.doi.org/10.1126/science.1115159. Pritchard, H.D., Arthern, R.J., Vaughan, D.G., Edwards, L.A., 2009. Extensive dynamic thinning on the margins of the Greenland and Antarctic ice sheets. Nature461, 971–975. http://dx.doi.org/10.1038/nature08471. Pritchard, H.D., Ligtenberg, S.R.M., Fricker, H.A., Vaughan, D.G., den Broeke, M.R.V., Padman, L., 2012. Antarctic ice-sheet loss driven by basal melting of ice shelves. Nature484 (7395), 502–505. http://dx.doi.org/10.1038/nature10968. Pritchard, H.D., Vaughan, D.G., 2007. Widespread acceleration of tidewater glaciers on the Antarctic Peninsula. J. Geophys. Res.112 (F3), F03S29. http://dx.doi.org/10.1029/2006JF000597. Raymo, M.E., Mitrovica, J.X., 2012. Collapse of polar ice sheets during the stage 11 interglacial. Nature483, 453–456. http://dx.doi.org/10.1038/nature10891. Rignot, E., 2006. Changes in ice dynamics and mass balance of the Antarctic ice sheet. Philos. Trans. R. Soc. Lond., Ser. A364, 1637–1655. http://dx.doi.org/10.1098/rsta.2006.1793. Rignot, E., 2008. Changes in West Antarctic ice stream dynamics observed with ALOS PALSAR data. Geophys. Res. Lett.35, L12505. http://dx.doi.org/10.1029/2008GL033365. Rignot, E., Box, J.E., Burgess, E., Hanna, E., 2008b. Mass balance of the Green-land ice sheet from 1958 to 2007. Geophys. Res. Lett.35 (20), L20502. http://dx.doi.org/10.1029/2008GL035417. Rignot, E., Jacobs, S., Mouginot, J., Scheuchl, B., 2013. Ice-shelf melting around Antarctica. Science341 (6143), 266–270. http://dx.doi.org/10.1126/science.1235798. Rignot, E., Mouginot, J., Morlighem, M., Seroussi, H., Scheuchl, B., 2014. Widespread, rapid grounding line retreat of Pine Island, Thwaites, Smith, and Kohler glaciers, West Antarctica, from 1992 to 2011. Geophys. Res. Lett.41 (10), 3502–3509. http://dx.doi.org/10.1002/2014GL060140. Rignot, E., Mouginot, J., Scheuchl, B., 2011. Ice flow of the Antarctic ice sheet. Sci-ence333, 1427–1430. http://dx.doi.org/10.1126/science.1208336. Rott, H., Floricioiu, D., Wuite, J., Scheiblauer, S., Nagler, T., Kern, M., 2014. Mass changes of outlet glaciers along the Nordensjköld Coast, northern Antarctic Peninsula, based on TanDEM-X satellite measurements. Geophys. Res. Lett.41 (22), 8123–8129. http://dx.doi.org/10.1002/2014GL061613. Rowlands, D.D., Luthcke, S.B., Klosko, S.M., Lemoine, F.G.R., Chinn, D.S., McCarthy, J.J., Cox, C.M., Anderson, O.B., 2005. Resolving mass flux at high spatial and tempo-ral resolution using GRACE intersatellite measurements. Geophys. Res. Lett.32, L04310. http://dx.doi.org/10.1029/2004GL021908. Rowlands, D.D., Luthcke, S.B., McCarthy, J.J., Klosko, S.M., Chinn, D.S., Lemoine, F.G., Boy, J.-P., Sabaka, T.J., 2010. Global mass flux solutions from GRACE: a comparison of parameter estimation strategies — mass concentrations ver-sus Stokes coefficients. J. Geophys. Res.115 (B1), B01403. http://dx.doi.org/10.1029/2009JB006546. Sasgen, I., Konrad, H., Ivins, E.R., den Broeke, M.R.V., Bamber, J.L., Martinec, Z., Kle-mann, V., 2013. Antarctic ice-mass balance 2003 to 2012: regional reanalysis of GRACE satellite gravimetry measurements with improved estimate of glacial-isostatic adjustment based on GPS uplift rates. The Cryosphere7, 1499–1512. http://dx.doi.org/10.5194/tc-7-1499-2013. Sasgen, I., Martinec, Z., Bamber, J.L., 2010. Combined GRACE and InSAR esti-mate of West Antarctic ice mass loss. J. Geophys. Res.115, F04010. http://dx.doi.org/10.1029/2009JF001525. Sasgen, I., van den Broeke, M., Bamber, J.L., Rignot, E., Sørensen, L.S., Wouters, B., Martinec, Z., Velicogna, I., Simonsen, S.B., 2012. Timing and origin of recent regional ice-mass loss in Greenland. Earth Planet. Sci. Lett.333–334, 293–303. http://dx.doi.org/10.1016/j.epsl.2012.03.033. Schmidt, M., Fengler, M., Mayer-Gürr, T., Eicker, A., Kusche, J., Sánchez, L., Han, S.-C., 2007. Regional gravity modeling in terms of spherical base functions. J. Geod.81 (1), 17–38. http://dx.doi.org/10.1007/s00190-006-0101-5. Schmidt, M., Han, S.-C., Kusche, J., Sanchez, L., Shum, C.K., 2006. Regional high-resolution spatiotemporal gravity modeling from GRACE data using spherical wavelets. Geophys. Res. Lett.33 (8), L0840. http://dx.doi.org/10.1029/2005GL025509. Schrama, E.J.O., Wouters, B., Rietbroek, R., 2014. A mascon approach to assess ice sheet and glacier mass balances and their uncertainties from GRACE data. J.Geophys. Res.119 (7), 6048–6066. http://dx.doi.org/10.1002/2013JB010923. Shepherd, A., Ivins, E.R.A.G., Barletta, V.R., Bentley, M.J., Bettadpur, S., Briggs, K.H., Bromwich, D.H., Forsberg, R., Galin, N., Horwath, M., Jacobs, S., Joughin, I., King, M.A., Lenaerts, J.T.M., Li, J., Ligtenberg, S.R.M., Luckman, A., Luthcke, S.B., McMillan, M., Meister, R., Milne, G., Mouginot, J., Muir, A., Nicolas, J.P., Paden, J., Payne, A.J., Pritchard, H., Rignot, E., Rott, H., Sørensen, L.S., Scam-bos, A., Scheuchl, B., Schrama, E.J.O., Smith, B., Sundal, A.V., vanAngelen, J.H., vandeBerg, W.J., vandenBroeke, M.R., Vaughan, D.G., Velicogna, I., Wahr, J., Whitehouse, P.L., Wingham, D.J., Yi, D., Young, D., Zwally, H.J., 2012. A reconciled estimate of ice-sheet mass balance. Science338, 1183–1189. http://dx.doi.org/10.1126/science.1228102. Simons, F.J., 2010. Slepian functions and their use in signal estimation and spectral analysis. In: Freeden, W., Nashed, M.Z., Sonar, T. (Eds. ), Handbook of Geomathe-matics. Springer, Heidelberg, Germany, pp.891–923. Ch. 30. Simons, F.J., Dahlen, F.A., 2006. Spherical Slepian functions and the polar gap in geodesy. Geophys. J. Int.166, 1039–1061. http://dx.doi.org/10.1111/j.1365-246X.2006.03065.x. Simons, F.J., Dahlen, F.A., 2007. A spatiospectral localization approach to estimating potential fields on the surface of a sphere from noisy, incomplete data taken at satellite altitudes. In: VandeVille, D., Goyal, V.K., Papadakis, M. (Eds. ), Wavelets XII. In: Proc. SPIE, vol.6701, p.670117. Simons, F.J., Dahlen, F.A., Wieczorek, M.A., 2006. Spatiospectral concentration on a sphere. SIAM Rev.48 (3), 504–536. http://dx.doi.org/10.1137/S0036144504445765. Simons, F.J., Hawthorne, J.C., Beggan, C.D., 2009. Efficient analysis and representation of geophysical processes using localized spherical basis functions. In: Goyal, V.K., Papadakis, M., VandeVille, D. (Eds. ), Wavelets XIII. In: Proc. SPIE, vol.7446, p.74460G. Simons, F.J., Wang, D.V., 2011. Spatiospectral concentration in the Cartesian plane. Int. J. Geomath.2 (1), 1–36. http://dx.doi.org/10.1007/s13137-011-0016-z. Slobbe, D.C., Simons, F.J., Klees, R., 2012. The spherical Slepian basis as a means to obtain spectral consistency between mean sea level and the geoid. J. Geod.86 (8), 609–628. http://dx.doi.org/10.1007/s00190-012-0543-x. Sterenborg, M.G., Morrow, E., Mitrovica, J.X., 2013. Bias in GRACE estimates of ice mass change due to accompanying sea-level change. J. Geod.87 (4), 387–392. http://dx.doi.org/10.1007/s00190-012-0608-x. Stocker, T.F., Qin, D., Plattner, G.-K., Tignor, M., Allen, S.K., Boschung, J., Nauels, A., Xia, Y., Bex, V., Midgley, P.M. (Eds. ), 2013. Climate Change 2013: the physical science basis. Contribution of Working Group I to the Fifth Assessment Report. Tech. rep. Intergovernmental Panel on Climate Change, Cambridge, UK. Swenson, S., Chambers, D., Wahr, J., 2008. Estimating geocenter variations from a combination of GRACE and ocean model output. J. Geophys. Res.113, B08410. http://dx.doi.org/10.1029/2007JB005338. Swenson, S., Wahr, J.M., 2006. Post-processing removal of correlated errors in GRACE data. Geophys. Res. Lett.33 (8), L08402. http://dx.doi.org/10.1029/2005GL025285. Velicogna, I., Sutterley, T.C., van den Broeke, M.R., 2014. Regional acceleration in ice mass loss from Greenland and Antarctica using GRACE time-variable gravity data. Geophys. Res. Lett.41 (22), 8130–8137. http://dx.doi.org/10.1002/2014GL061052. Velicogna, I., Wahr, J.M., 2006. Measurements of time-variable gravity show mass loss in Antarctica. Science443, 1754–1756. http://dx.doi.org/10.1126/science.1123785. Velicogna, I., Wahr, J., 2013. Time-variable gravity observations of ice sheet mass balance: precision and limitations of the GRACE satellite data. Geophys. Res. Lett.40, 3055–3063. http://dx.doi.org/10.1002/grl.50527. Wahr, J.M., Molenaar, M., Bryan, F., 1998. Time variability of the Earth’s gravity field: hydrological and oceanic effects and their possible detection using GRACE. J.Geophys. Res.103 (B12), 30205–30229. Wessel, P., Smith, W.H.F., 1998. New, improved version of Generic Mapping Tools released. Eos Trans. AGU79 (47), 579. http://dx.doi.org/10.1029/98EO00426. Whitehouse, P.L., Bentley, M.J., Milne, G.A., King, M.A., Thomas, I.D., 2012. A new glacial isostatic adjustment model for Antarctica: calibrated and tested using observations of relative sea-level change and present-day uplift rates. Geophys. J. Int.190 (3), 1464–1482. http://dx.doi.org/10.1111/j.1365–246X.2012.05557.x. Williams, S.D.P., Moore, P., King, M.A., Whitehouse, P.L., 2014. Revisiting GRACE Antarctic ice mass trends and accelerations considering autocorrelation. Earth Planet. Sci. Lett.385, 12–21. http://dx.doi.org/10.1016/j.epsl.2013.10.016. Wouters, B., Bamber, J.L., van den Broeke, M.R., Lenaerts, J.T.M., Sasgen, I., 2013. Limits in detecting acceleration of ice sheet mass loss due to climate variability. Nat. Geosci.6 (8), 613–616. http://dx.doi.org/10.1038/ngeo1874. Wouters, B., Chambers, D., Schrama, E.J.O., 2008. GRACE observes small-scale mass loss in Greenland. Geophys. Res. Lett.35, L20501. http://dx.doi.org/10.1029/2008GL034816. Zwally, H.J., Giovinetto, M.B., Beckley, M.A., Saba, J.L., 2012. Antarctic and Green-land drainage systems. http://icesat4.gsfc.nasa.gov/cryo_data/ant_grn_drainage_systems.php. GSFC Cryospheric Sciences Laboratory. Greenbelt, Md. This collection includes odds and sods of material I refer to or that I've picked up along the way and want to have at my fingertips. For example, there are some handy articles about temperature data adjustments, homogenisation and time of observation bias. And there are articles on the greenhouse effect and some on energy balance. I haven't sorted these all that well. Demystifying Climate Models - ebook by Andrew Gettelman and Richard B. Rood - free download. The Greenhouse Effect and Climate Change - Bureau of Meteorology booklet - very good. Thin Ice: Geologist Simon Lamb followed scientists at work. Click here to go to the website of Thin Ice and watch the videos. Hansen, J., R. Ruedy, Mki. Sato, and K. Lo, 2010: Global surface temperature change. Rev. Geophys., 48, RG4004, doi:10.1029/2010RG000345. A description of the surface temperature record with detailed discussion of the types of adjustments to the data. Are you more informed than a Fox News viewer? State of the cryosphere - The Cryosphere Today from the Polar Research Group, University of Illinois at Urbana-Champaign. Excellent visuals and detail.